A massive experiment quietly operating since spring roughly a mile underground in the Black Hills of South Dakota and involving liquid xenon, the world’s biggest detector and about a hundred international scientists — including Texas A&M University physicists — has proven itself the most sensitive dark matter detector in the world. Among other distinguishing factors, the federally funded Large Underground Xenon (LUX) experiment features greatly enhanced sensitivity to low-mass WIMPs, or weakly interacting massive particles, that are believed to be the leading theoretical candidates for dark matter, which accounts for nearly a quarter of the universe but so far has been observed only by its gravitational effects on galaxies and clusters of galaxies. LUX scientists claim a sensitivity limit three times better than any previous dark matter experiment as well as a sensitivity more than 20 times better than previous experiments for low-mass WIMPs, whose possible detection has been suggested by other experiments. 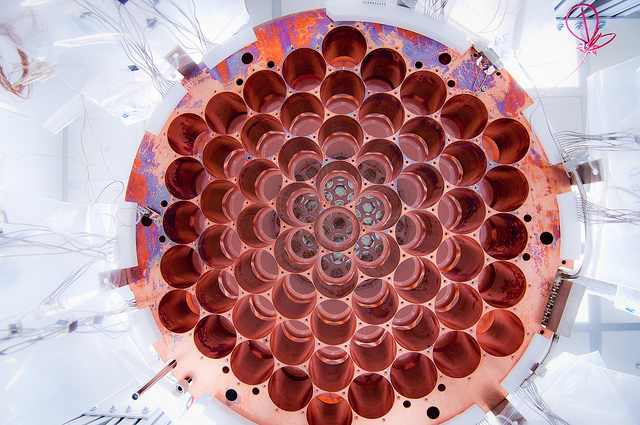 Three such candidate low-mass WIMP events recently reported in ultra-cold silicon detectors would have produced more than 1,600 events in LUX’s much larger detector, or one every 80 minutes during the experiment’s recent run. No such signals were seen.